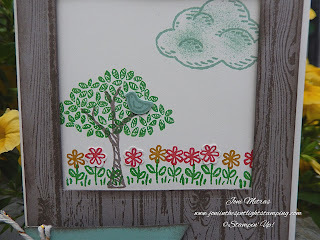 Joni in the Spotlight Stamping: CLUB SPRINKLES! Had a great time the other night with my Stamp Club girls! It was our first get together with the new Annual Catalog! We had a blast!!! I designed it to introduce them to the Sprinkles of Life stamp set! It's this year's Ronal McDonald House set. $3 from every stamp set sold goes to RMH! Plus, there's a brandy new punch-The Tree Builder Punch! It's perfect! 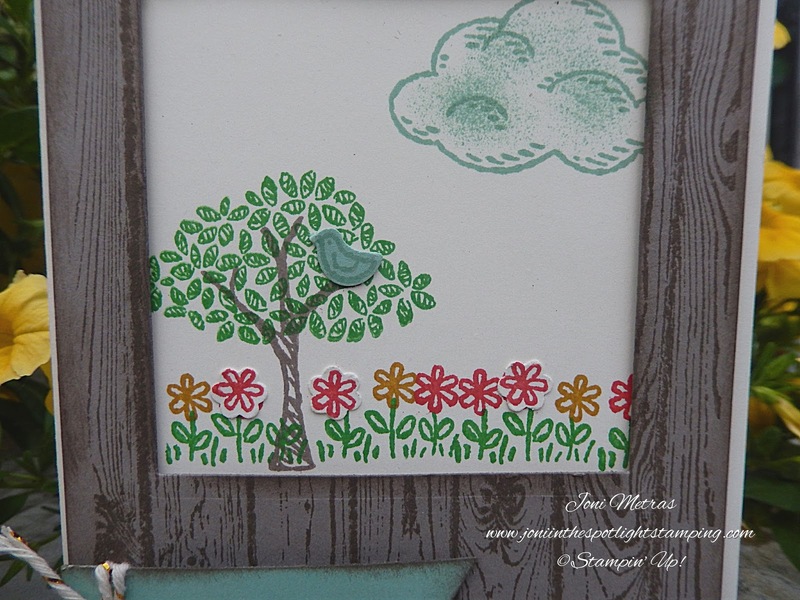 I used the Hardwood stamp as the background because I thought it looked like you were looking out a window! I used my new Banner Punch for the sentiment. I LOVE that punch! I think I've used it more than any other new "toy"! Added a bit of Gold Bakers Twine to finish it off! Fun all around! This stamp set will be available all year in the new catalog!!! Not only can you get a cute stamp set, but you can help out a very worthy cause! PLUNGING BLACK & WHITE-WITH A POP!